Paypal Account ki Jarurat kya hain? 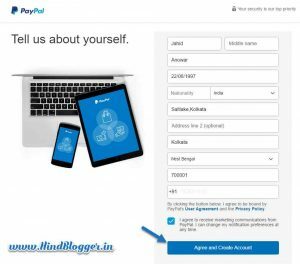 Paypal par Account kaise Banaye? 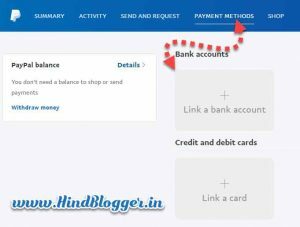 Paypal Account ko Bank account ke sath Link kaise kare? 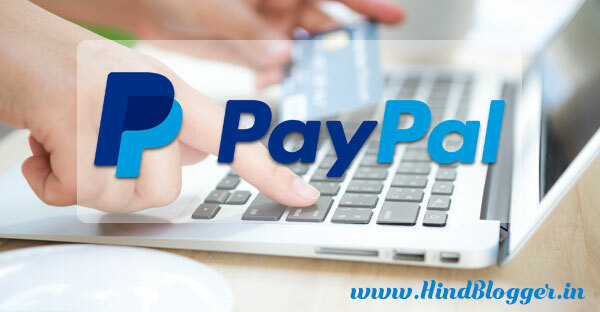 Paypal ek worldwide payment system hain jaha pea ap online money Transfer, Money Receive, Payment jaise kam karsakte hain. Paypal Dunia ka sabse Bada Online Payment System hain. Almost sare country me Paypal bka service available hain sibahe kuch Country ke. Well ap a soch rahe hain ki Payment to ap bank cards se vi karsakte hain to apko Paypal ka jarurat ku hoga. 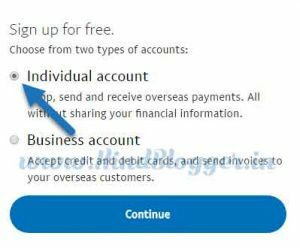 Sabse phele paypal ek free service hain Imean Paypal pe account free main ban jate hain. 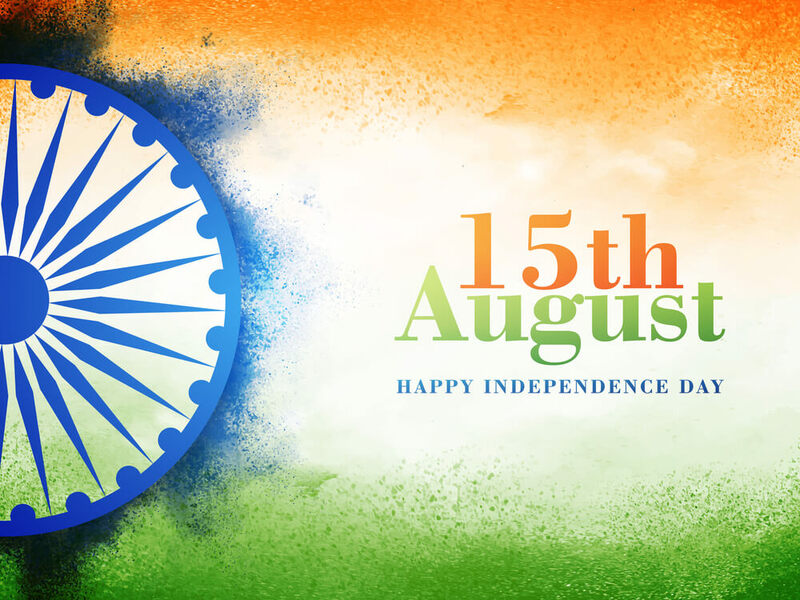 Manlijiye ki apko kisi Dusre Country par apke koi Dost ya rishdar ke pas paisa bhejna ho to Apko dikkat asakta hain paise send karneme apko Bank name, Ifsc bohat kuch jarurat hoga. But paypal ki jariye ap Serf Paypal id (jisko send kar rahe hain unka Email id vi hosakta hain ) Dalke paise send karsakte hain. Paypal par Account banana bohat hi asan hain. Isme free main apka account ban jata hain. Paypal pe sabse pehele ek form fill up karna hota hain then apke Address, bank add karneke bad apka account ban jate hain. Form fill up karnese pehele niche mentioned kiye gaye kuch jaruri Documents cahiye apko. [mks_highlight color=”#8ac0ea”]Step 1:[/mks_highlight] Paypal.com par jaye . [mks_highlight color=”#8ac0ea”]Step 2:[/mks_highlight] Right side heder pe Signup ka Option par click kare. [mks_highlight color=”#8ac0ea”]Step 3:[/mks_highlight] Apke samne ek naya page open ho jayega Ahape Individual pe click karke continue par click kare. [mks_highlight color=”#8ac0ea”]Step 4:[/mks_highlight] Sahi email address deke ‘Signup For free’ form ko fillup kare (As shown in the below image). [mks_highlight color=”#8ac0ea”]Step 5:[/mks_highlight] Ab is form me apko apka pura Details accurate dena hain Galti nehi caheliga. 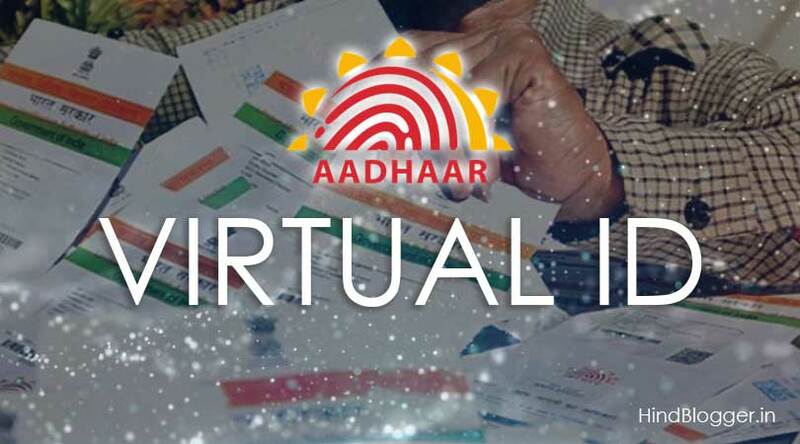 Apna Name, Date of Birth, Address with Pin Code, Mobile number deke Agree and continue par click kare. 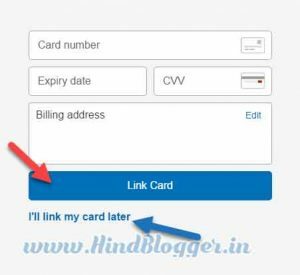 [mks_highlight color=”#8ac0ea”]Step 6:[/mks_highlight]: Ab apke samne “Link your Debit/ credit card” ka form open hoga. Ahase ap apna card add karsakte hain Otherwise ap “I will link my card later” pe click karke bd me apna card Paypal ke sath link karsakte hain. Ab ek new page open hoga or apko congratulate karega. Isme Simply “go to your account” pe click karke apne account me ja sakte hain. Congratulation! Apne successfully Ek paypal account banya. Paypal ka Account to apne Create karliya ab apko Payment recive karneliye bank account add karna padega Warna ap pay ment withdraw nehi krsakte hain. Paypal me bank account add karneke liye niche digaye Steps ko follow kare. [mks_highlight color=”#8ac0ea”]Step 1:[/mks_highlight] Apne account me ake upar Menu me Payment Method pe click kare. 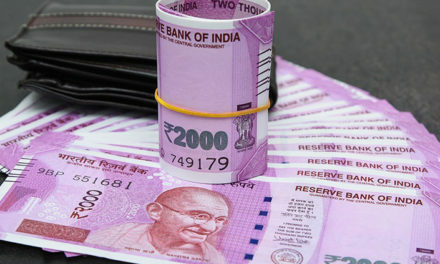 [mks_highlight color=”#8ac0ea”]Step 2:[/mks_highlight] Link Bank account wale box par click kare. 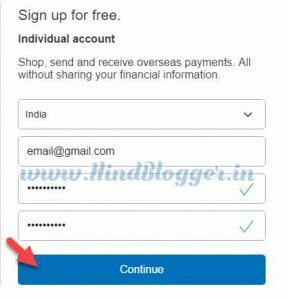 [mks_highlight color=”#8ac0ea”]Step 3:[/mks_highlight] Ab apke samne ek form open hoga Aha pr apna Account number and IFSC code dalke continue par click kare. [mks_highlight color=”#8ac0ea”]Step 4:[/mks_highlight] 4-6 din ke andar Paypal apke account me do small amount deposit karega . Uske liye “Confirm in 4-6 days ” par click kare. 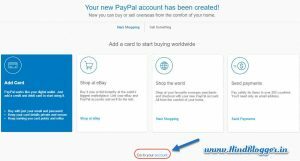 [mks_highlight color=”#8ac0ea”]Step 5:[/mks_highlight] Agar apko wo amount apne account me milgaya to ap paypal account me aye then Pyment Method par click kare Ab apne jo account link kiya tha uske uapr click kare or Wo do Amount enter kare and Confirm par click kare. Ap avi Bilkul ready hain apne Paypal par payment panekeliye. 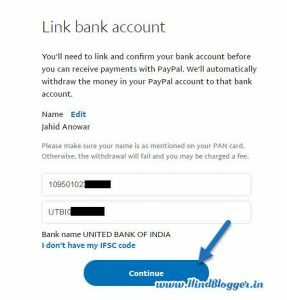 So ye tha Paypal Kya hai aur Paypal par account bananeka Complete Guide. Agar Paypal Account create karneme koie Problem aye to niche Comment kare. And apko hamri website ka new look kaise laga wo vi bataye comment me. Thank You. Hi Folks, this is about Jahid Anowar , A Hindi Blogger from India. 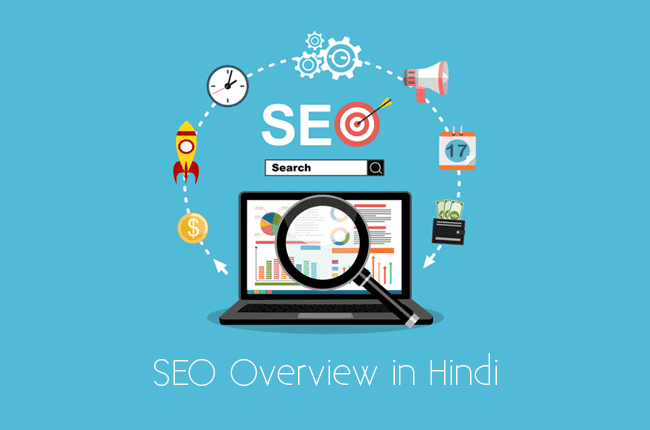 He writes on SEO, Blogging, Marketing and Affiliate marketing. He loves Programming rather than Blogging. mujhe apki jankari bahut achi lagi…good information. Mera Bank Account Nahi hai kya main paypal Account bana sakti hu? Ap Bana to sakte hain Lakain Payment Receive nehi kar payenge. Or nahi Payment Karsakte hain. Paypal par account bananekeliye apke pas bank account hona jaruri hain . bahut hi achhi jankari diye hai aapne. Thank you Bro. Keep Visiting for more. Dahanyebad Dlip. Aise aur content ke liya aha visit karte rahiye. Bohat achha lekha hain paypal ke bareme. Thank you Asim das. thanks for visiting.